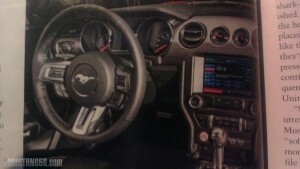 It should be no surprise to anyone that these details were provided via Mustang6g.com and SVTPerformance. 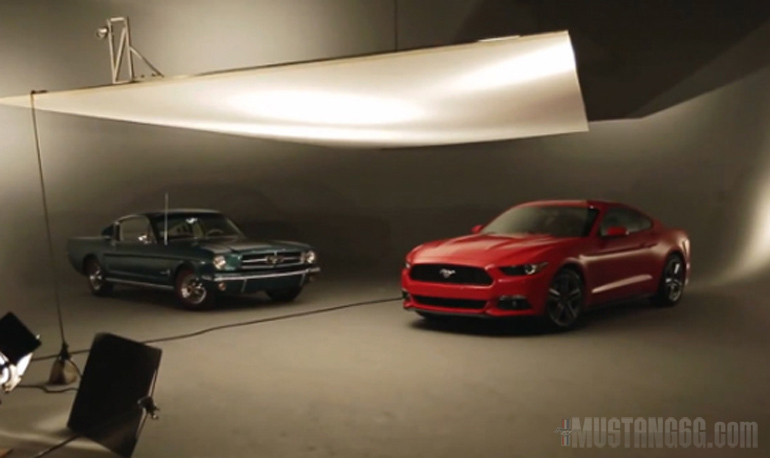 It should also not shock you that when AutoWeek accidentally released a video of the 2015 Mustang on their YouTube channel, a community member snapped a photo of the new Mustang as it was being dolled up for the cameras. Adding up the fact that the magazine was posted today and the video leaked at relatively the same time, this was either a well sculpted, calculated blunder on AutoWeek’s part, or for some odd reason Ford sanctioned it. UPDATE: Hat tip to Ciprian at AutoEvolution for finding the original source of these photos. 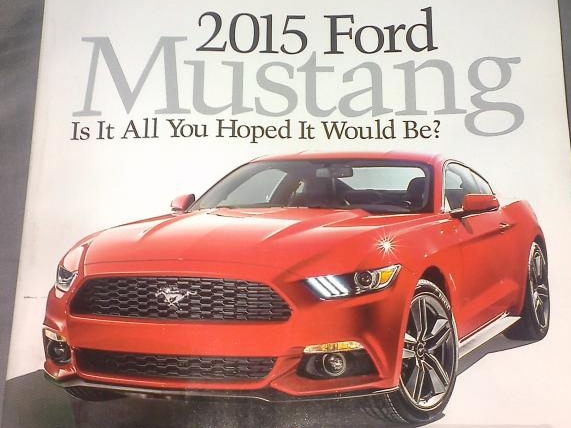 Next Entry Live From New York: AmericanMuscle Will be Bringing You The 2015 Mustang on Thursday, December 5th! Not a fan of the back end! Buy everything else looks good! But not enough for me to trade up! Finally made one ugly. I’ll pass. 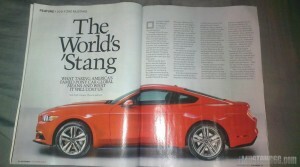 Sad day for Mustang. Don’t like the front end, and looks like a 370z from the side. Hoping the gt has a more aggressive front end like the 2013/14 gt500 and a different hood to really separate it from this base model.